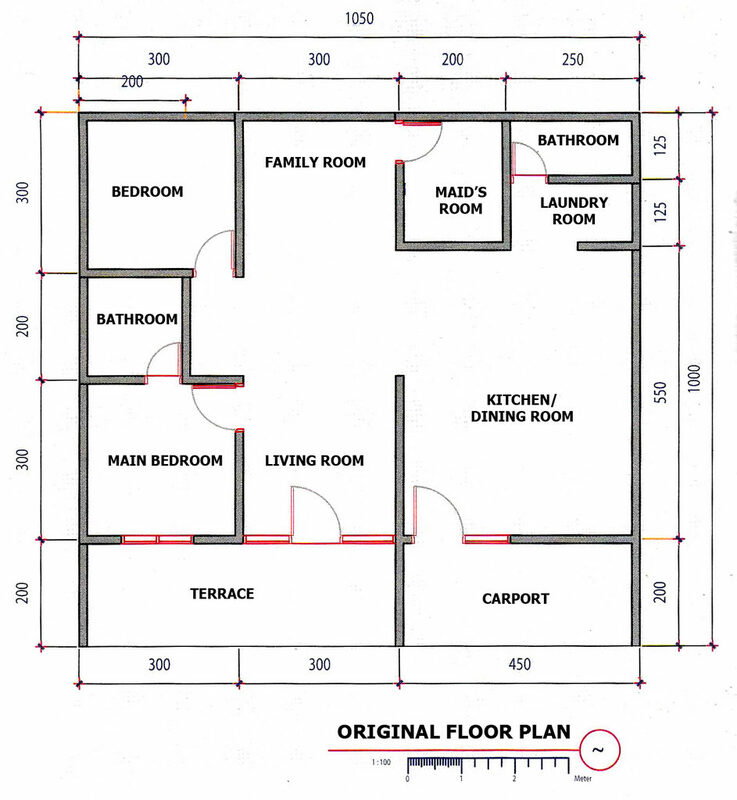 Remodeling or developing a small house floor plan can be done in several ways. Each method has advantages and disadvantages. Only you can decide what is the best method that suits to your current condition. The following are some examples of developing small house plans based on people’s experiences that you can learn before remodeling a house. Having a remaining land area of about 48 m² makes Mr. Dave wanted to add new rooms along with the increasing of a family member that will need more rooms too. However, the development will be carried out in two stages. The first stage adds a child’s bedroom, a maid’s bedroom, and a bathroom on the first floor, in addition to expanding the family room, kitchen and dining room. 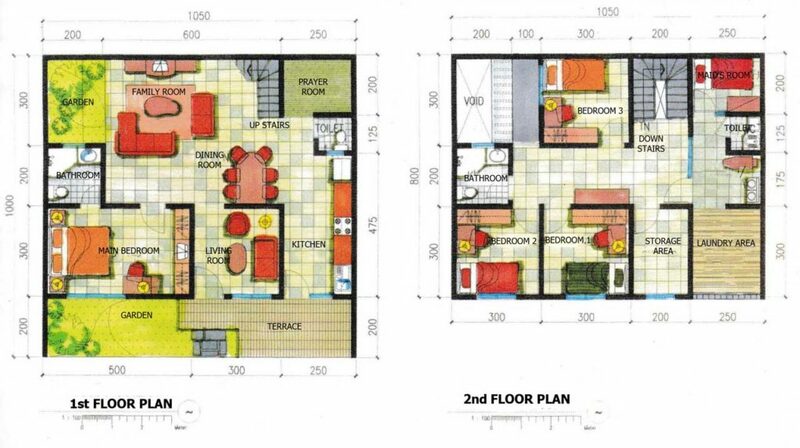 The second phase is planned to be carried out in the next 5 years, which is to add two bedrooms, a family room, a workroom, a bathroom, and service rooms. For gradual development as desired by Mr. Dave, a strategy is needed to deal with its development to be more efficient. If indeed, in the next five years Mr. Dave plans to continue the development for the second floor, it is better for the first development Mr. Dave must to build a flat roof model. Considering the cost of concrete processing is quite expensive, the process can be devoted to new spaces. Thus, when working on 2nd development, the next concrete processing does not become too much more cost. Why need a strategy like this? So when Mr. Dave wanted to build a new roof for his house or additional space in the first stage, while working on the second stage development, the roof must be destroyed, which means Mr. Dave should throw these building materials. 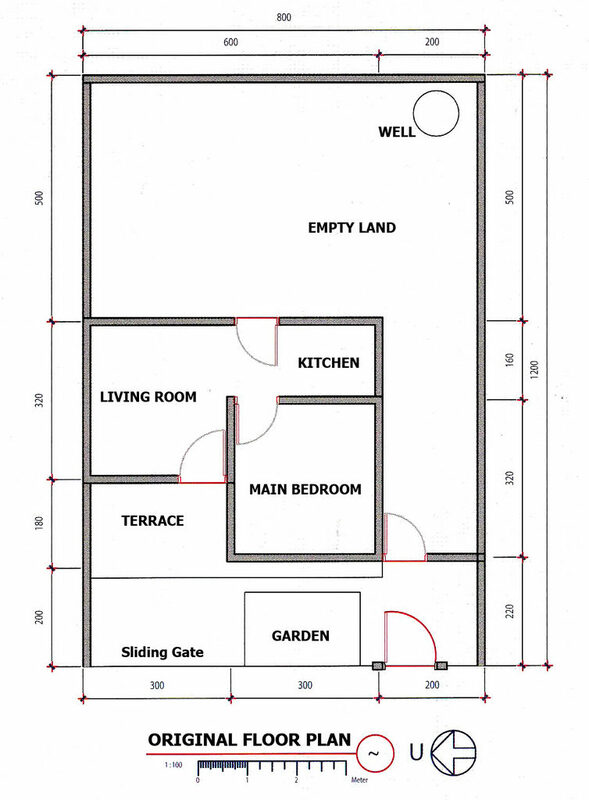 In the first stage, the living room is moved to the left and the kitchen is moved to the right, occupying an empty space. Then the new bedroom can be placed on the back, so that the new bathroom location is between two bedrooms. While the maid’s bedroom is behind the kitchen. As desired by Mr. Dave, for now, the backyard can be used for the clothesline area; while the space for stairs can be serve as a laundry area. In the second stage of development, two more bedrooms can be built along with open space for a family room and working space. Another room that needed is a warehouse. A place for washing and drying can be moved to the top of the kitchen. If feel less spacious, you can use a balcony for an additional clothesline area. If necessary, the ironing room can also move up if the space under the stairs will be converted as a storage cabinet. The architecture of the building that is suitable is modern and simple, so that a small house does not feel crowded by ornaments and unnecessary details. Concrete canopies are sun-retaining heat. With the addition of wooden grating and wooden pergola, solar heat can be reduced. 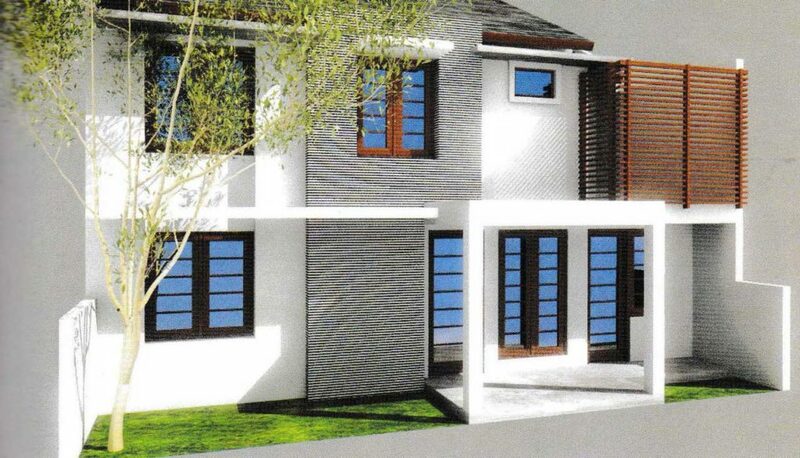 Wooden lattice makes a modern home design more warm. Ms. Martha owns a house with a flat roof design that has been cast concrete on the 2nd floor, because she plans to renovate her house gradually. With these conditions, she wanted to add two more bedrooms for kids, a living room, a family room, a dining room, and other supporting rooms. The room on the 1st floor did not make many changes. The bedroom is moved to the front left of the building so that it can get better air circulation and also good sunlight. Thus, between the living room and the space behind it, there are no dividing walls and partition so that the room feels more spacious. The room is absolutely perfect if used as a dining room area, given its location which is also close to the kitchen. With limited space available, open spaces for small indoor garden need to be made so that the need for air exchange can be met. Upstairs can be used for two children’s bedrooms as desired by Ms. Martha and also can be used for the family room and service room. 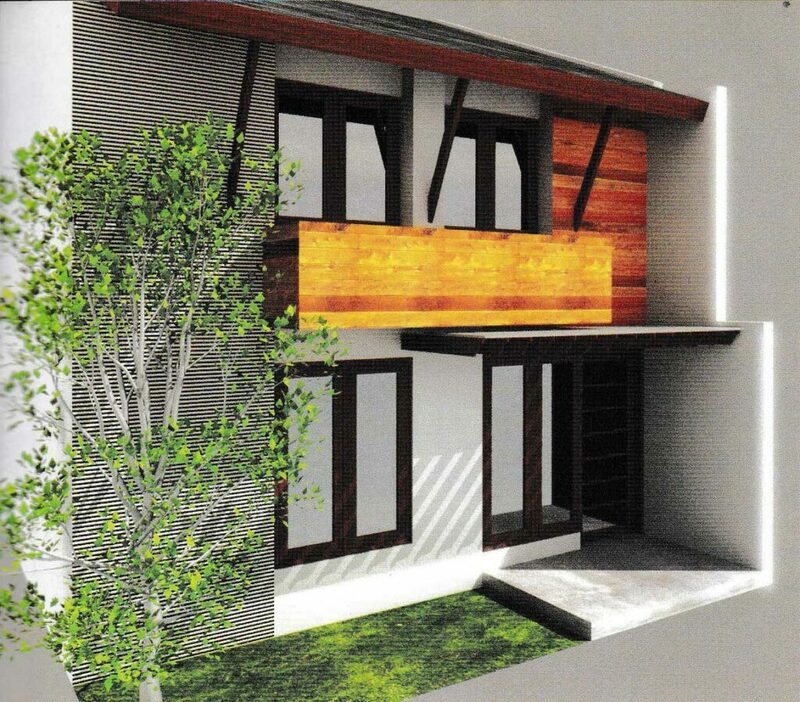 Because this house is quite small, so the best home design is simple but still has interesting details. The options is a simple modern design with wood accents, so it feels there is a touch of country style. The glass window opening is made large, so the sunlight can freely enter the house and the house will be bright throughout the day. The use of wood material aims to reduce the cold impression of modern design. 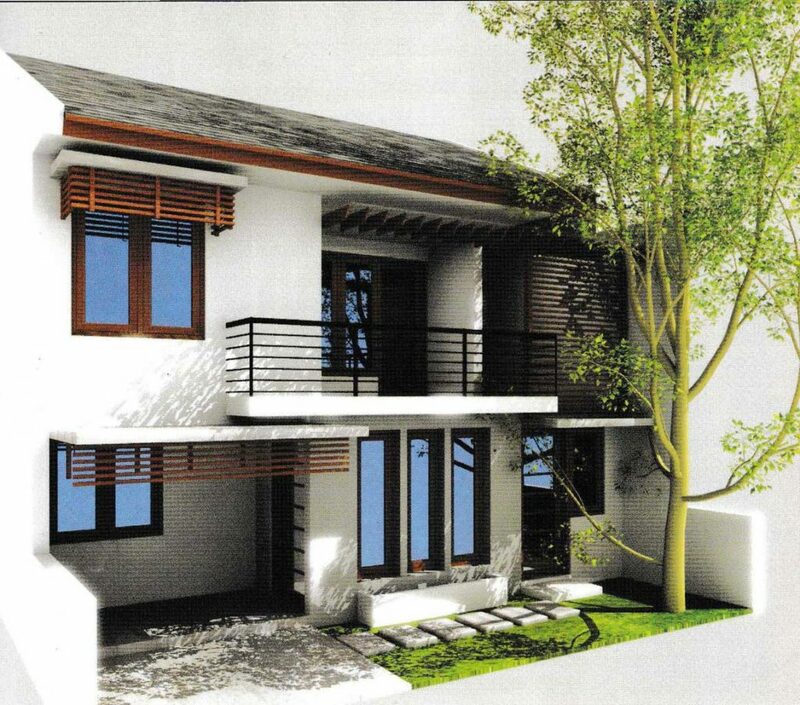 Long eaves can be given a wooden braced cantilever accent to make the country style feel more pronounced. Mrs. Heather’s house had previously been renovated by adding new rooms to the remaining land. As family members increase, she needs two children’s bedrooms, a prayer room, and a service room that is separate from the main room. The problem is the house plan is currently not organized and does not have good air flow so that the house becomes stuffy and hot. Given Mrs. Heather has three children, the first step is to provide a room that is open enough for family activities, especially if her children are in the growth phase. For this reason, it is necessary to have a family room that can accommodate the whole family. The three children’s bedrooms can be on the 2nd floor. In addition to the main bedroom, the gathering room can be on the 1st floor. To arrange the room to be more spacious, the family room and dining room can be put together. The main bedroom can be expanded by moving the dividing wall towards the living room as far as 2 m. The remaining space is divided into two for the living room and kitchen. If you notice, when shifting these rooms, the old structure of the building can still be maintained. The dividing wall of the main bedroom and living room leaving 1 m of walls that can be used as the entrance to the living room, while the columns in the living room can be used as a dividing wall with a dining room. Because the kitchen position is in the front, it is very beneficial in utilizing air circulation, the entrance in the kitchen makes the house have two separate accesses. Given the old bathroom on the first floor has been made a private bathroom, and the other bathroom is removed to be used as a prayer room; then you need an additional toilet on the 1st floor. Consider family members or guests who have to go to the restroom, no need to enter the main bedroom or to the 2nd floor. On the 2nd floor, it can be made for three children’s bedrooms. While the right side is provided for servicing purposes, such as a maid’s bedroom, laundry room, clothesline, and ironing room. Thus, service activities are completely separate from family activities. Modern house design and simple could be made warmer by giving wooden lattice with a horizontal pattern that also serves to hide the clothesline. Functional but aesthetic as well. 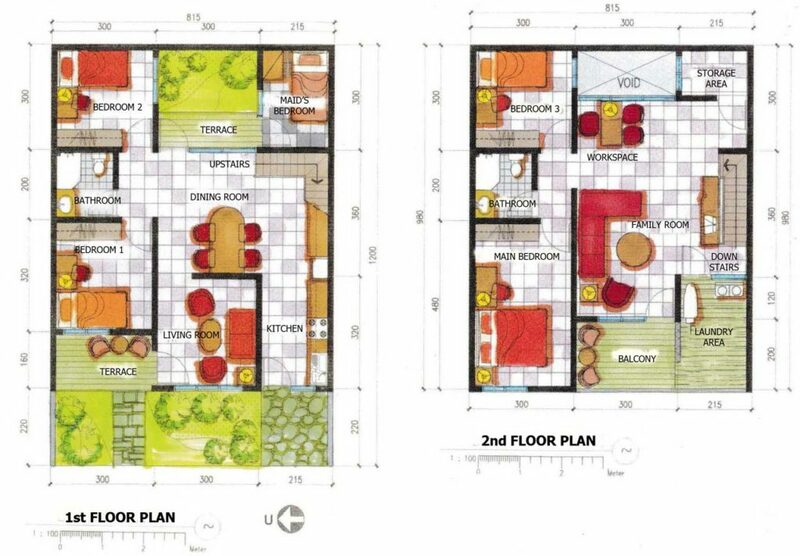 Simplifying the house floor plans along with simplifying the shape of the house. Large openings for optimum air circulation. 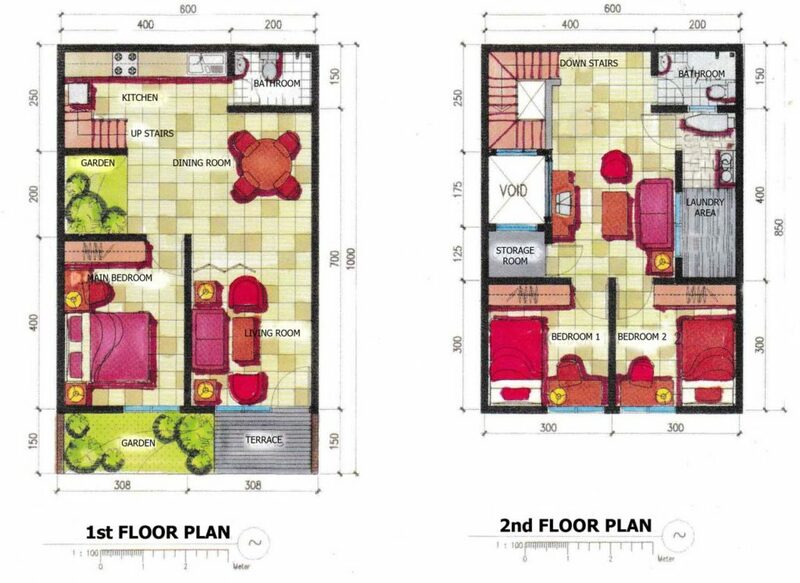 So, if you wish to secure these fantastic pictures related to 3 Small House Floor Plans Development That You Can’t Learn From Books, press save button to store the photos in your personal PC. They’re all set for download, if you’d prefer and want to get it, just click save logo in the page, and it’ll be directly down loaded to your home computer. Thanks for visiting Raysahouse.com, article above 3 Small House Floor Plans Development That You Can’t Learn From Books published. 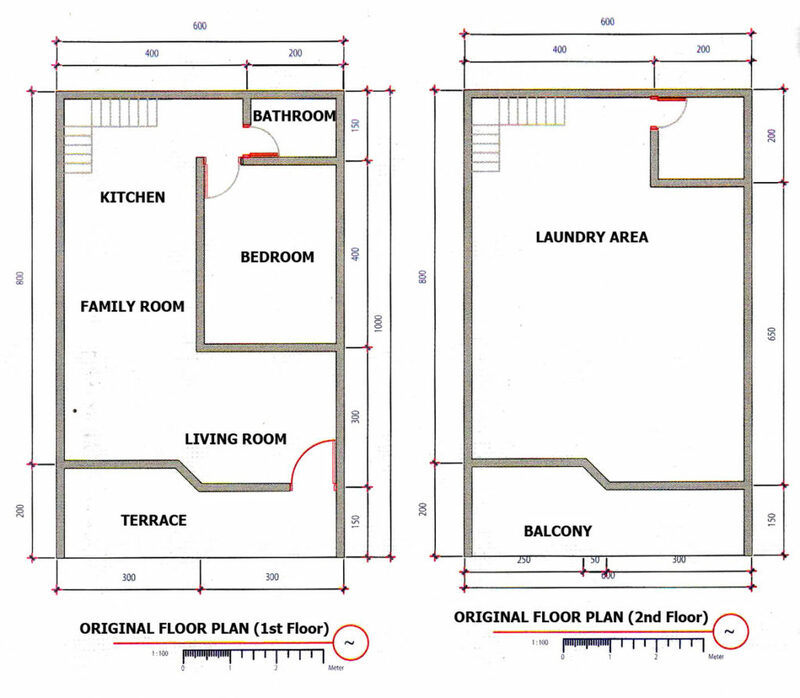 Most people looking for details about Small House Floor Plans and definitely one of these is you, is not it?